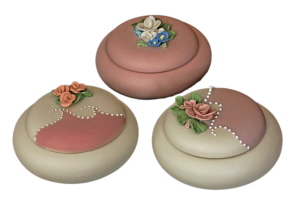 These porcelain jars can be purchased individually or as a set. They measure about 5” in diameter, with a 4 ½” opening. 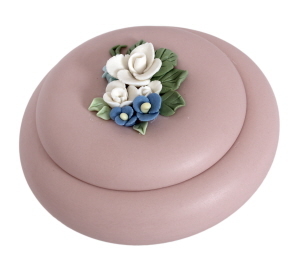 The depth of the jar is about 1” deep. 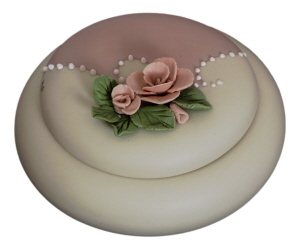 The two “bone” color jars have raised light bone-white dots boarding a pink to pale tan design. 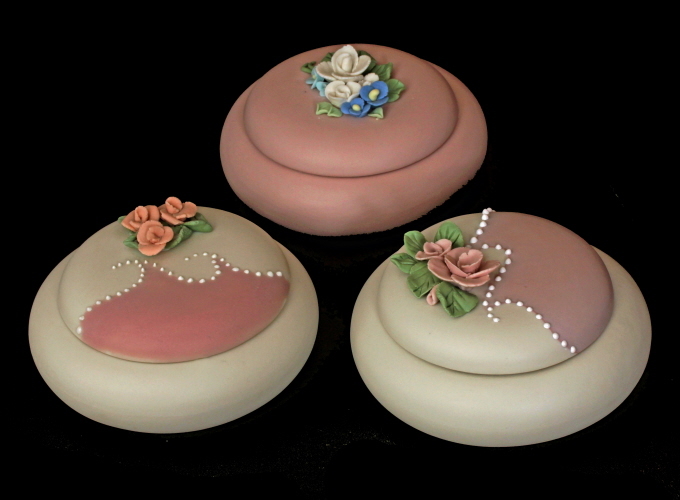 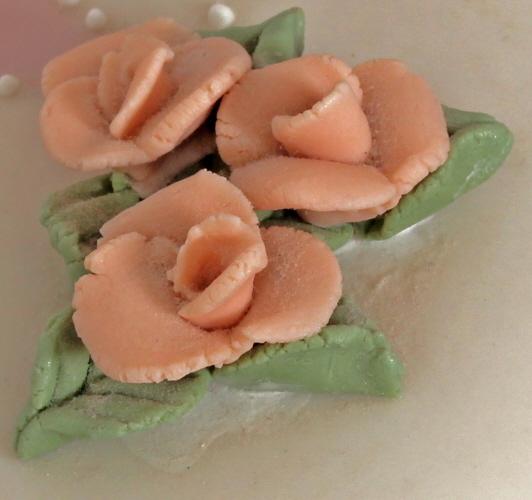 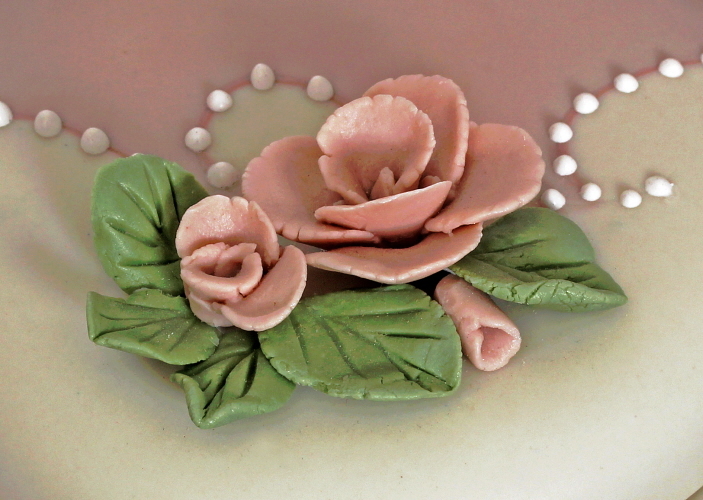 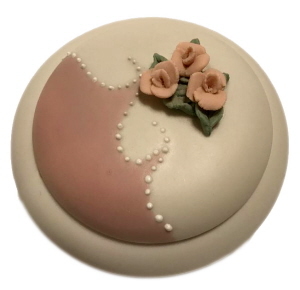 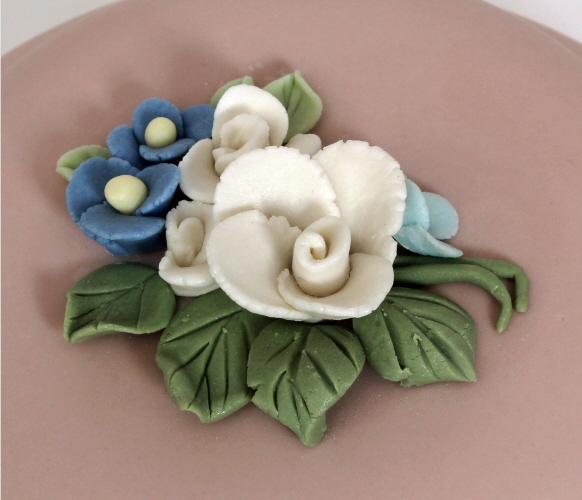 The pink flowers are individually hand made with accents of detail on the leaves. The pink jar is decorated with 3 white hand-made flowers with four additional flowers of two different shades of blue with a yellow center. The leaves are of varying colors of green with minute detail.